BREAKING: DHANUSH'S NEXT WITH THIS LEGENDARY PRODUCER! As reported earlier Dhanush is currently shooting for Gautham Menon's next, Enai Noki Paayum Thota. The actor has a series of good films lined up for a release. Now there is further exciting news for Dhanush fans. 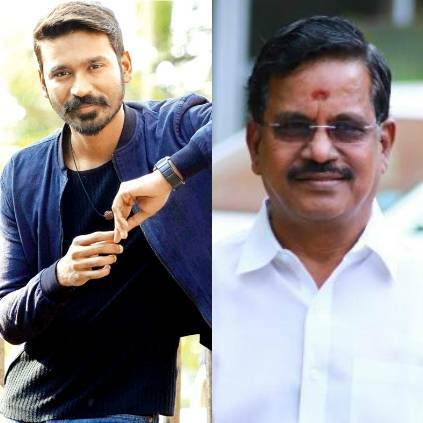 According to close sources, we hear that one of Dhanush's upcoming films will be produced by Kalaippuli S. Thanu, under his banner V Creations. It is suggested that the two are in talks with leading directors and soon will be announcing the project officially. The duo has earlier collaborated for VIP 2. Stay tuned to see what is in store this time! People looking for online information on Dhanush, Kalaippuli S Thanu will find this news story useful.